What were you doing 30 odd years ago ? Like me, I bet you were tucked up in suburbia enjoying the good life ?I was happily attending Neutral bay Public School in Sydney, enjoying being a Boy Scout, riding skateboards, learning how to surf and generally leading the life of a happy little kid. Australia was and is the Lucky Country and the greatest threat I faced was a wooden spooning from my dad ( or my teacher ) for being a cheeky little sod. I remember CLEARLY the nightly Channel 9 news reports about the almost weekly arrival of “boat people” from Kampuchea. As they desperately tried to escape the Khmer Rouge many made it in tiny overloaded boats, many didn’t. I also remember that at the time the school yard jokes centred around Kampucheans and their skininess. As a 10 year old,I had no idea where Kampuchea was or why they were coming to our country. Well, imagine my surprise that 30 years later I find myself living in Cambodia, married to a Cambodian lady and with Cambodian family . Life takes you on some amazing turns. 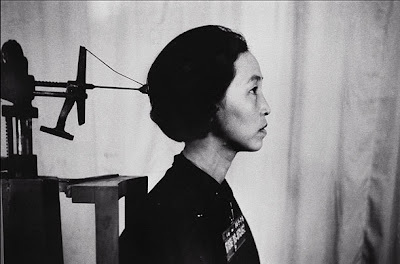 I have blogged mostly about the banal, amusing and frivolous for some time now but the other night I was reading Pol Pot’s autobiography whilst my daughter Grace ( half Cambodian / half Australian ) slept beside me. It is a very heavy read and when they get into the real desperate years, it is..well..harrowing. 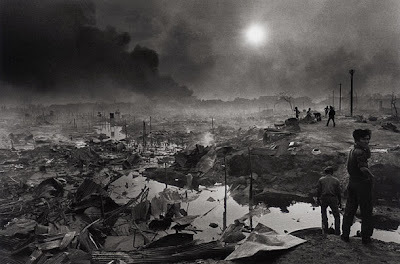 I just found myself thinking all over again how much Cambodia and it’s people have been through. This is where I choose to live and despite it’s horrific recent history, I wouldn’t have it any other way. A prisoner gets her mug shot taken. At prisons like Phnom Penh’s infamous Tuol Sleng, prisoners were painstakingly documented before being sent to their deaths in mass graves later to be come known as the “killing fields.” In total, an estimated 1.7 million Cambodians died between 1975 and 1979. 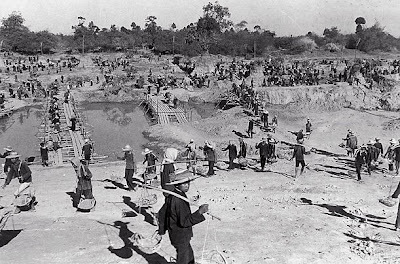 Forced labourers digging canals in Kampong Cham province, part of the massive agrarian infrastructure the Khmer Rouge planned for the country. The Khmer Rouge sought to rid Cambodia of all Western influences that distracted its people from their agrarian calling. 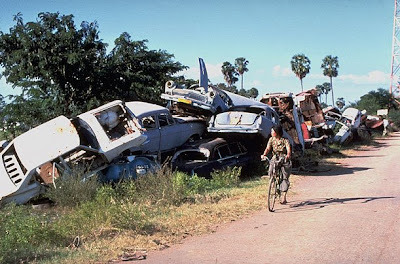 Cars, abandoned and forbidden, were stacked up alongside the road. 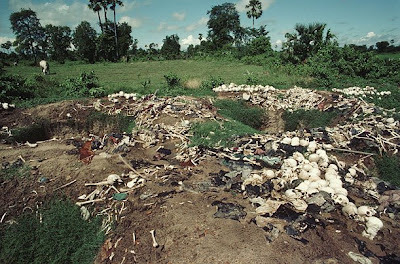 An exhumed mass grave, pictured in 1981, in the Cambodian countryside reveals the skeletons of those executed and buried together under Pol Pot’s regime. 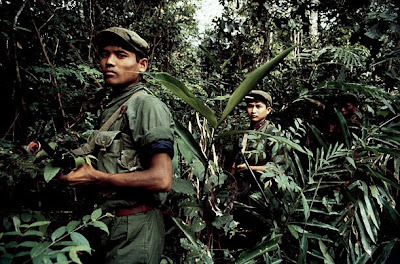 Khmer Rouge guerrillas in the jungle of western Cambodia as they attempt to halt advancing Vietnamese forces on Feb. 15, 1981. I come from a generation later,the vietnam war was raging when i was at auckland grammar.Only one boy on the school surfed and skateboards were unknown and an HR premier cost $1250 or was it pounds. I was living in bangkok when the viets invaded cambodia and we drove up to aranypratet to witness the huge throngs of little brown people behind the razor wire. 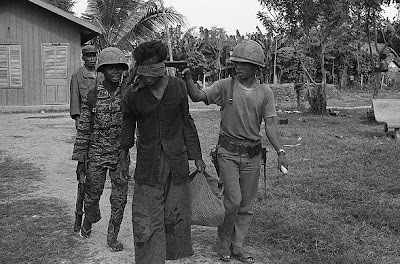 The worst time for me was when we supported pol pot at the UN as the legitimate government of cambodia for nearly ten years. That day on the border we saw several white holden belmonts with black windows-later we were told that these were CIA vehicles.